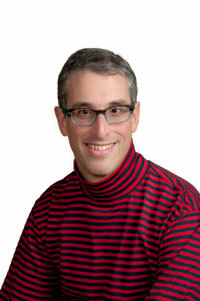 Daniel Perlin joined the Osgoode Hall Law School Library in June 2006 as a full time Reference Librarian, having worked as a casual Reference Librarian since July 2005. He worked as Interim Reference Librarian at the Paul Martin Law Library, University of Windsor, also at the law firm of Osler, Hoskin & Harcourt LLP and at the University of Western Ontario Libraries. Daniel is a member of the Law Society of Upper Canada and he articled at McTague LLP Windsor. His areas of interest include Canadian legal research, labour law, employment law and human rights law. Perlin, Daniel. “Law Students and Legal Research: What’s the problem?”. (2007) 32(1) Can. L. L. Rev. 18-21. Daniel Perlin, Book Review of Constitutionalism and the Role of Parliaments by Denis Baranger, Anthony W. Bradley and Katja S. Ziegler, eds., (2008) 33(3) Can. L. L. Rev. 360-361.